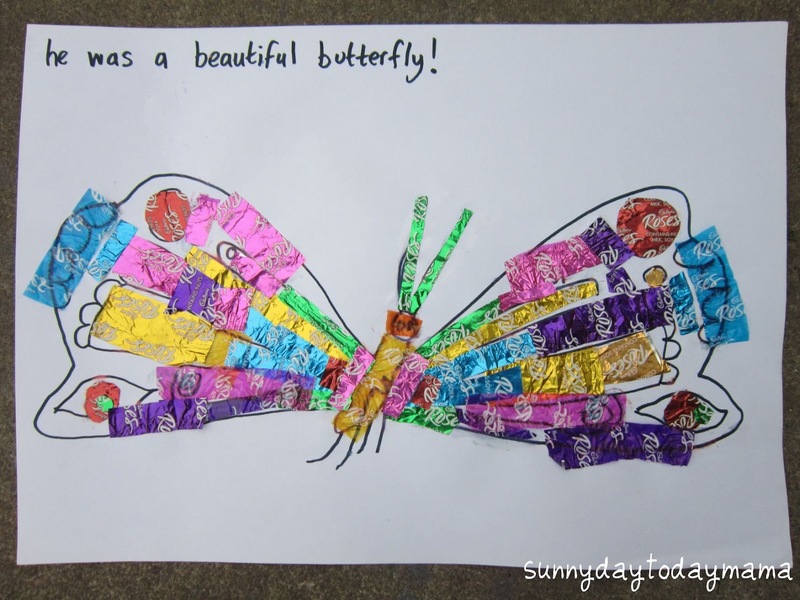 Bring a bit of color and happiness to Spring with a scrap fabric butterfly! Decorate your home or make a pin, headband or mobile! Stash-busting tutorial! 8/02/2009 · To make each strand, cut a long piece of white knitting yarn and knot one end. Using a darning needle, sew about three stitches through the middle of each felt butterfly, leaving enough room between them to let them spin easily and mixing up the butterflies and felt beads/circles as you go. To make the larger sized butterfly, cut two rectangles of fabric 4 1/2 by 6-inches. To make a smaller butterfly, cut two rectangles of fabric 3 by 4-inches. To make a smaller butterfly, cut two rectangles of fabric 3 by 4-inches. Turn the baby washcloth into the butterfly's body. To do this, fold the washcloth in half. Then take your chenille stem, also folded in half, and lay it in the center of the washcloth, with the folded part of the stem on the washcloth.